Articles posted on this website reflect my professional expertise in social media communications and digital marketing along with some articles related to personal interests. It is a site where I curate content for the training programmes I teach. From time to time I am invited to test a product, service or event and where that happens, I reflect my connection with the brand in the article. The reviews I give reflect my own personal experience. I also selectively promote products, services or events where I have an affiliation through receiving a referral fee. These may appear in banner links on my website. I take this approach as time is involved in researching testing, reviewing and writing about the product, service or event. Where I write a review about the product, service or event, I disclose that in the associated article. I do not promote things I don’t believe in as I know that any opinion I make can be seen as a recommendation. If you have any questions regarding this, please don’t hesitate to contact me through my help desk. In addition, and in accordance with good practice I also disclose affiliations in my social media posts usually with the word Sponsored, #sponsored or #ad. 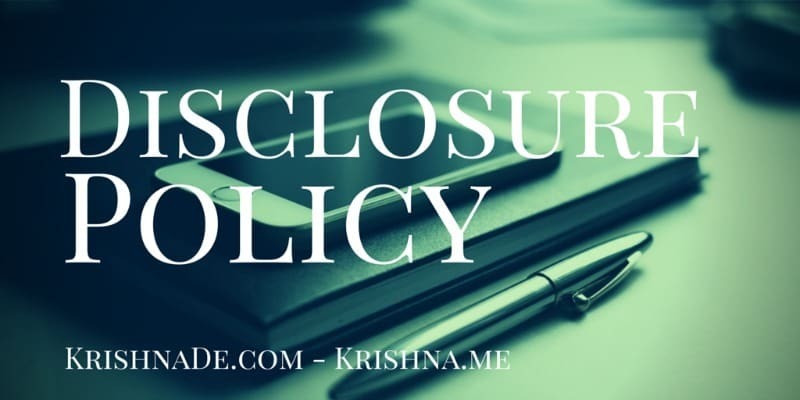 If you found my disclosure policy of interest and want to publish your own policy, please do not copy my policy and indicate it is your own. If you develop your disclosure policy based off the above I would appreciate attribution in the spirit of good social media and online etiquette. If you are looking to develop a Disclosure Policy for your organisation you can schedule a meeting with me to discuss developing social media governance and policies for your organisation. This policy was updated on 24 September 2016.